Dr. Daley came to Geographic Consulting in 2009 after working as the Agroforestry Research Specialist for the University of the Virgin Islands for 10 years. His research focus was on the propagation and ecology of native dry forest tree species. He developed protocols for reproducing them and out-planted several experiments testing drought tolerance and measuring growth rates. Native forest restoration and rehabilitation have always been his primary research interests. Daley’s most recent projects have focused on using native plants to create quality habitat on degraded commercial and industrial sites. Revegetation and phytoremediation are key processes in restoring ecological function to highly degraded sites requiring more intervention than simple enrichment plantings. 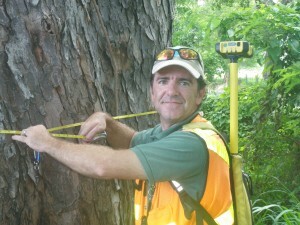 Dr. Daley is an ISA (International Society of Arboriculture) certified arborist (first certified in 2002) and still has a strong interest in hazard tree assessment, urban forest planning and proper tree pruning techniques. Daley leads the arborist services (ISA # SO 6585A) at Geographic Consulting, where we are supervising arborists on projects where we conduct hazard assessments and provide pruning and removal recommendations. Daley also writes Forest Stewardship Management plans to assist clients manage their privately held forest resources as part of the US Forest Service Program. 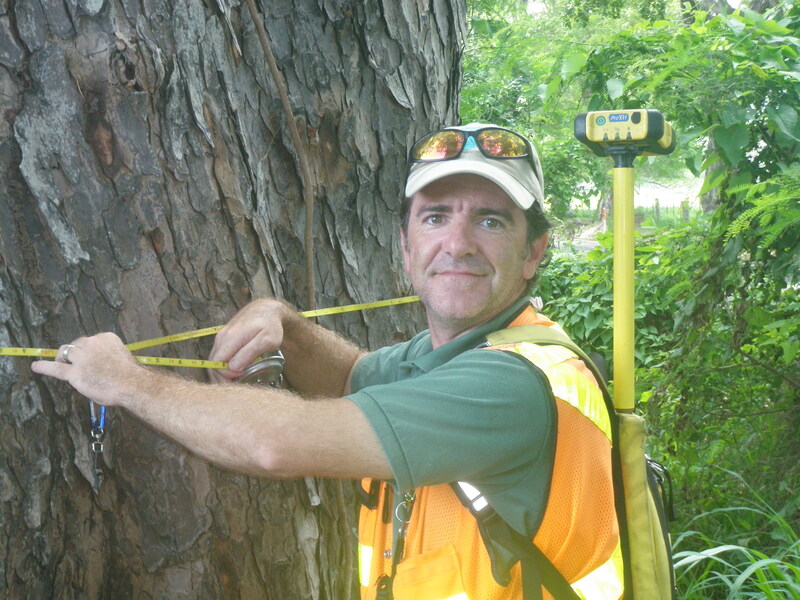 During his Ph.D. research he used GIS and other tools to complete a landcover change analysis of St. Croix with a focus on the relationship between forests, agriculture, and development. There is a brief summary of that work in a fact sheet available here. He also developed methods for using native trees in low-cost “gap-planting” methods that enrich dry forests dominated by exotic invasive plants. Brian and the forestry team at Geographic Consulting have improved these methods, lowered costs and are proud to be leaders in regional forest restoration and reforestation.